Bioderma Laboratory is based in Lyon, France and they specialise in developing and marketing dermo cosmetic products intended for medicinal prescription and medicinal consultancy in close collaboration with renowned dermatologists. Bioderma is present in over 70 countries and they are growing fast at an international level. In terms of product range, they have seven product ranges for hygiene and care adapted to each type of skin problem and their range covers: sensitive skin,; dehydrated and sensitive skin; dry skin; oily skin; hair and scalp; baby skin; sun damage; and brightening and irritated damaged skin. They are specified colours to match each range so you know right from the packaging what you are getting. As expected, the pink packaging is for sensitive skin. From the name Sensibio, you can guess that it is meant for sensitive skin. 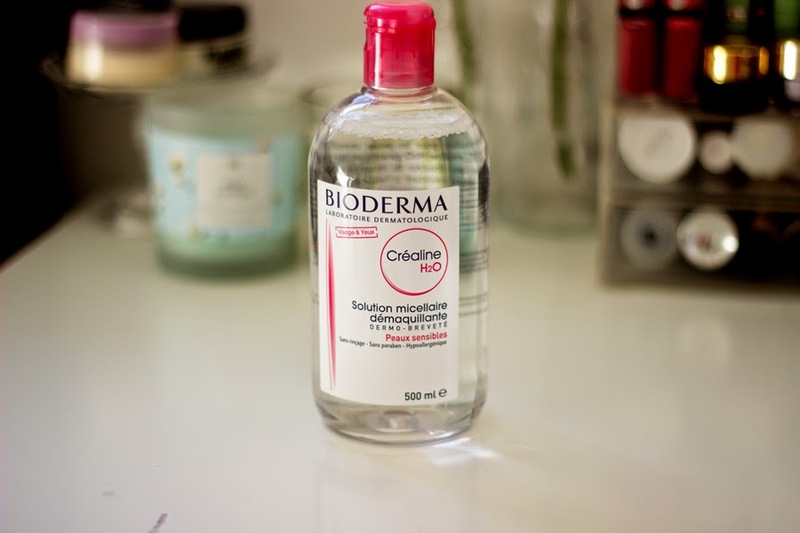 I can’t really classify my skin as an old sensitive soul (lol) but it has its moments which is why I chose this range besides this is the most popular kind of Bioderma Micellar water and I think the packaging looks more attractive than the rest. 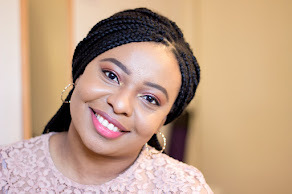 If you are not familiar with Micellar waters, I suggest you hop on to one of these reviews here and here. In essence, Micellar waters are a mixture of oil and water which are combined seamlessly in a biphase with no line of demarcation and they are designed to take off all traces of makeup with a cotton pad including eye makeup. I am a sucker for French skincare packaging in general because they just look so pristine and chic like Parisians. But seriously, it seems (in my opinion) that French skincare brands take pride in their packaging and it is evident in many French skin care brands like La Roche Posay, Avene, Caudalie and of course, Bioderma. They all seem to have a clinical vibe without being too boring and I really like it. 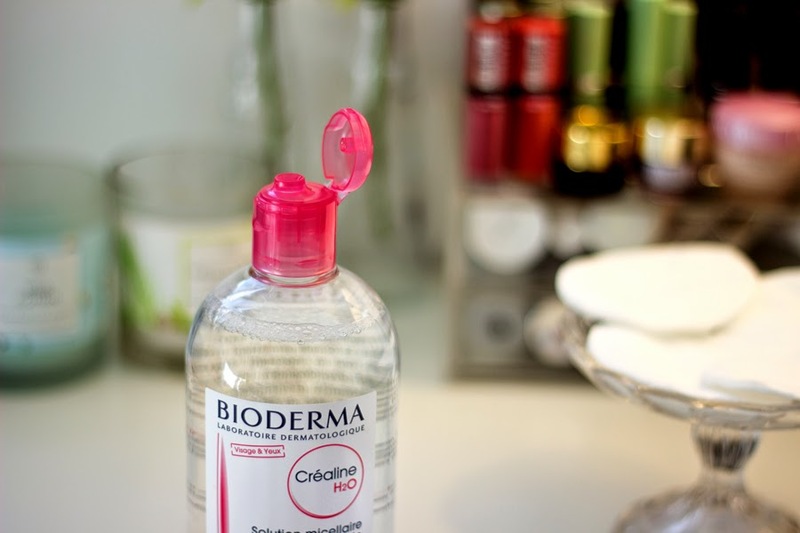 The Bioderma packaging has the typical French Skincare Brand stamp with lovely packaging that is well labelled. As it is a part of the Sensibio (sensitive skin) range, it has pink packaging which I like. The lid is very secure and the opening allows the right amount of product out so there is minimal wastage. Trust me; you really do not want to waste this as it is relatively pricey and scarce but so worth it. As mentioned earlier, it is a makeup remover and it does the job really well. It removes all (read: ALL) traces of makeup with a cotton pad and it also removes eye makeup especially stubborn eye makeup although you may need to put in a little more effort if it is waterproof eye makeup. For my face, I prefer to use a large/wide cotton pad because it means it covers my face effectively. I tip some micellar water onto the cotton pad and gently swipe my face and in a downward motion (not in a back and forth manner) and this removes all my makeup effectively. For my eyes, I use smaller cotton pads (soaked with Bioderma) and gently press on my eye lids for a few seconds. Next, I swipe in a gentle downward motion and this targets my eyeshadow, eyeliner and mascara. I find this technique really helpful and easier than swiping haphazardly across my face and it prevents me from getting makeup all over my face and the infamous panda eyes. I love using this to remove my makeup before going ahead to cleanse my face with either Dudu Osun or any cleanser I fancy. If you are super lazy/tired/had a long day, you can keep this near your bedside with some cotton pads and it will ensure that you don’t go to bed with your makeup. It is truly amazing and I love it. This is when things go a little downhill. First off, Bioderma is not readily available in the UK but you can find it in a few shops here in London like Garden Pharmacy and Bliss Pharmacy all in Central London. If you can’t be bothered hunting this down in-store, then the best option will have to be buying it online in a variety of online stores including Escentuals, FeelUnique, Amazon and even Ebay (but beware of fake sellers). The price varies but you can get the twin pack of 500ml from about £16 or more. Of course, it is much cheaper if you buy it in France or any other EU countries that sell it. The BF got mine for 16.90 Euro which is approximately £13.55 and this is for the twin packs of 500 ml each. I am absolutely chuffed that he got this for me because it is significantly more expensive here in the UK. The cons that spring to mind are its limited availability and the price difference here in the UK. It is also a little bit pricier than the regular Micellar waters here like the L’Oreal and Garnier versions which cost less than £5 here in the UK and there are always offers on when you can buy them for cheaper. 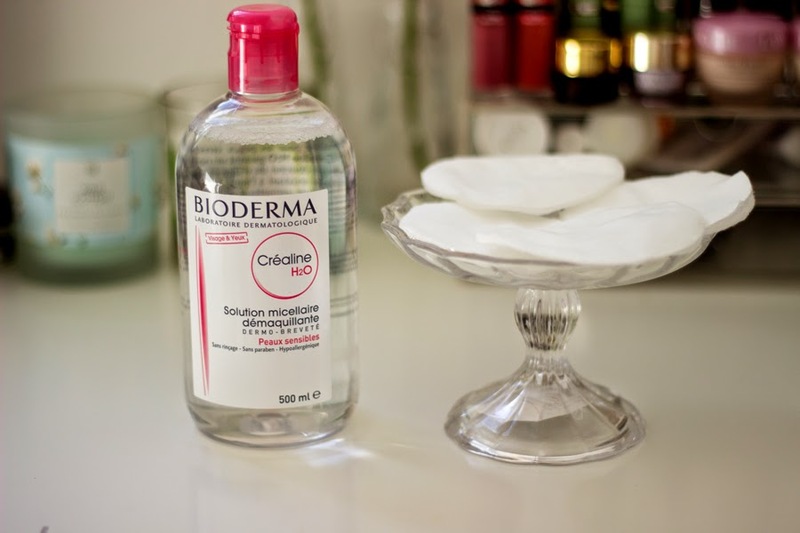 However, the quality you get with Bioderma Micellar Water outshines all the other brands i have tried. Yahhh! !, I hope it is as amazing for you as it is for me!! !